Hideaway Bay Beach Club is a lovely complex of townhouses located on Little Gasparilla Island on the southwest coast of Florida. 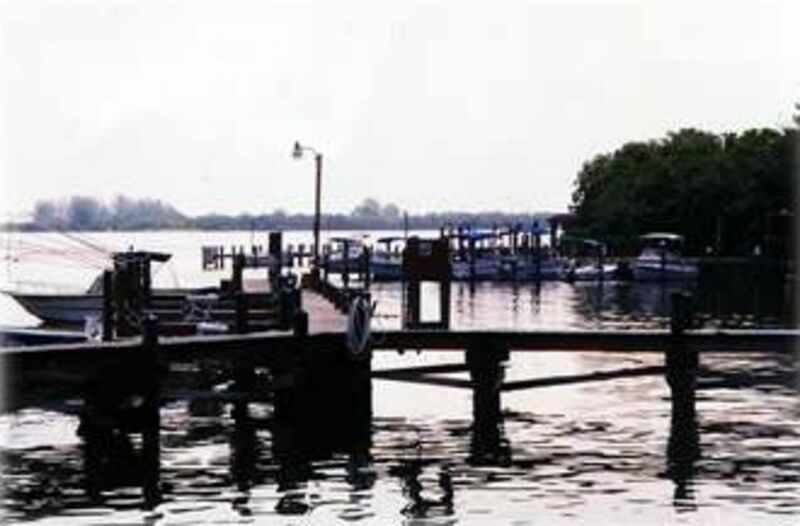 We are next to Boca Grande, which is known for the world famous tarpon fishing tournaments. The island is accessible only be boat. However, our development provides free ferry service for guests. Beautiful, deserted beaches covered with shells... the perfect spot to enjoy the spectacular sunsets! Nature trails cover the island. No cars allowed... only quiet golf carts and bicycles! Golf cart trails are cover the island. Golf Cart with front & rear seating included. If you like to go fishing, swimming, shelling, crabbing, snorkeling, diving, birdwatching or just relaxing on one of the most beautiful beaches in Florida this is the place. Hideaway Bay has it's own private boardwalk to the ocean. People gather every evening to watch the most magnificent sunsets in the world. Hideaway Bay has for guests a nice community large BBQ pit plus 2 serious BBQ smokers for community (which happens often) or individual gatherings. Just check the board at the landing area. We also have a community heated pool with a book library. Our unit has a king bed upstairs & 2 single beds in downstairs bedroom plus a leather very comfortable couch that one can sleep on. We have a full size washer & dryer. We include the golf cart & provide gas & charcoal grills. You can bring your own boat and dock it free or rent one nearby. Take a boat trip to Cabbage Key where you can enjoy a 'cheese burger in paradise' and tour the island doesn't get much better. This will be the closest you will ever come to feeling like you are on Gilligan's Island. It's a very unique place for a vacation and one that will give you memories forever! After discovering our island you will come back time after time. Golf Cart is included at no extra charge. We are a family of 5. Our 3 kids were young when we purchased and absolutely loved the island. They still go when possible. My wife and I just don't have the time to go much either so we want our guests to enjoy. We purchased for our kids and to have a beach to go for weekends and we would spend a week at a time on vacation here. we are boaters and love to fish and go to the beach. This has it all. We kept a boat down there for years in dry storage. There are great restaurants in the area and one of the best beaches anywhere. It's so secluded, private and quiet since there are no cars on the island. Riding around the beautiful golf cart roads is just so very unique and incredible. Most of our guests come back every year and many come more often. Our unit looks across the small lake at the pool. Partial view of the intercoastal waterway from the upstairs window. The beach is a short walk or golf cart ride. Locked garage for golf cart and beach chairs, etc. HDTV upstairs with built-in DVD player & HDTV downstairs with Blue Ray player. Library of movies. Screened in looking across a pond with a fountain.